Did you know that more and more students are traveling further away from home to go to college? Because of this, car relocation for students has become a very popular thing for people to do, as teenagers aren’t choosing where they study solely based on location, but rather based upon which college has the best reputation for the degrees that they offer. So, why are people using college car shipping services? Well, you may be aware that many younger people aren't confident driving on interstate highways, country roads, or in unfamiliar states and cities. It is safer to use a car transport company to make the move on their behalf. The rising cost of gas also makes a case for hiring auto transporters, who split the cost of gas with many other cars paying for the same service on your route. Your child will, also, be much happier that they have a car to get around in at college to maintain a social life. Not to mention, he or she can safely travel home by plane for holidays or between semesters. 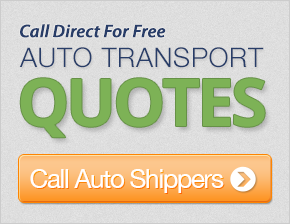 There are lots of auto shipping companies out there, and some are more reputable than others. Here are a few tips that you can use to make sure that you are not being ripped off by the car transport service that you choose. Many auto transporters are small operators that don’t always have the necessary permits and insurance to relocate cars. If you use these companies, you run the risk of not being covered by the regulations that govern the industry. When working with a car relocation company for your son or daughter’s college needs, you should ask some car shipping questions and perform some checks, especially if you have not used a particular auto shipping company before. Most often, if your questions have not been answered adequately, check with the Federal Motor Carrier Safety Administration to find out if the company is registered, or if you should be using a different company. Price is another deal-breaker you should note when perusing auto transport quotes for college students. If a price seems too good to be true, it usually is. That means that when you are calling around and getting auto transport prices, you should be looking at the median price that offers the best safety features and excellent customer service. It's a good idea to deal with auto transport companies like you would any other business that you have not previously used. A firm recommendation from a friend or family member is a good indicator of a company's quality, though calling around to other reputable companies for a comparison quote can save you additional money at greater risk. Finally, its a good idea to discover whether or not auto transport insurance is included in the quote that they are giving you. This can very between companies, so make sure that you read the fine print or you may find that what seems like a cheap car relocation quote turns out a whole lot more expensive that you had initially thought. Auto transport may one of the last things that college students think about as they prepare to graduate. However, many college graduates end up moving either back home to work in the city they grew up in, or to a big city like New York City to pursue an exciting career. Thus, young adults just heading to college should not be the only students considering hiring an auto transport company - graduates are also frequently in need of car shipping services!